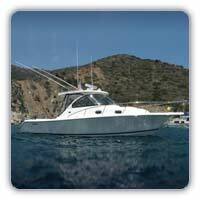 "My experience at BALBOA BOAT YARD has been outstanding. Pat, I appreciate your “No Shortcut” attitude and bringing any issues you found immediately to my attention. I can truly say you run a very Honest yard and the care you showed me and my boat shows in the quality of the finished product. It’s hard to argue with a job that’s fairly priced, on time and high quality….I’ll definitely be back, you’ve earned my business. "Just a note of thanks for the excellent job on the repairs to Moonstruck. Your guys are more than capable, with their creative problem solving abilities and immediate response time. I appreciate your honesty and integrity and look forward to many more years doing business with you and Balboa Boat Yard." "I’m very pleased to recommend your boat yard! After my recent haul out, your yard work to be excellent. I liked your personal service and fair prices. I will tell my boating friends about Balboa Boat Yard!"